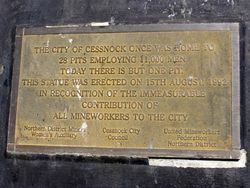 Statue commemorates the contribution of mine workers to the City of Cessnock. In the late 1800s the Newcastle coalfields were winding down and mine owners were looking for other areas to mine coal. The South Maitland Coalfields had been proven by Sir Edgeworth David, the Government Geological Surveyor, to be the richest coal seam in the Southern Hemisphere so of course, attention shifted to these coal fields. 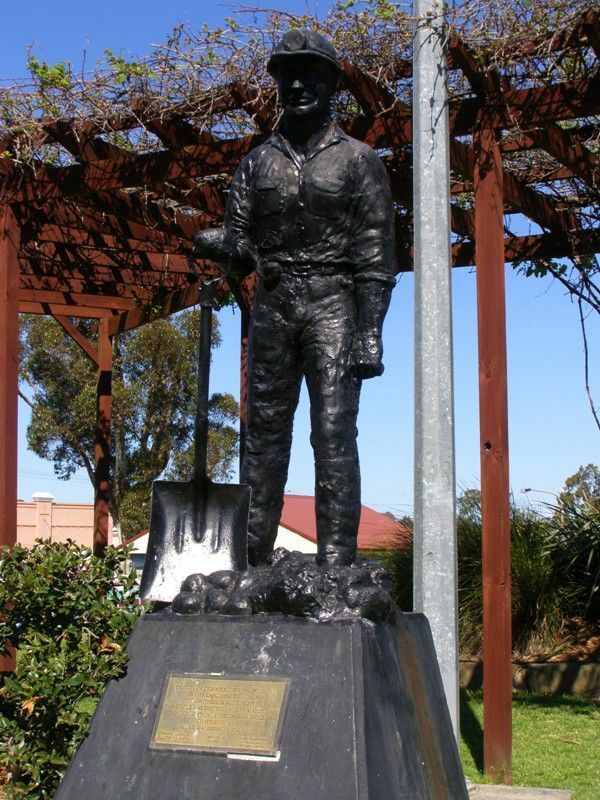 The town of Kurri Kurri was founded in 1902 as the service centre for the local Stanford Merthyr and Pelaw Main mines and the people who worked them. 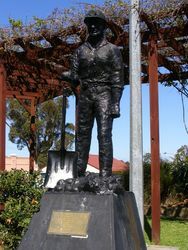 At the height of the mining era in Kurri Kurri there were 28 operational pits, employing 11,000 local men in addition to the people employed in the service industries in the town itself such as shops. TODAY THERE IS BUT ONE PIT. 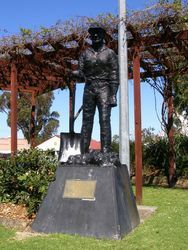 THE STATUE WAS ERECTED ON 15TH AUGUST, 1992. ALL MINE WORKERS TO THE CITY.